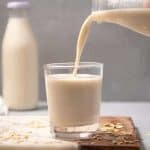 How to make homemade oat milk! 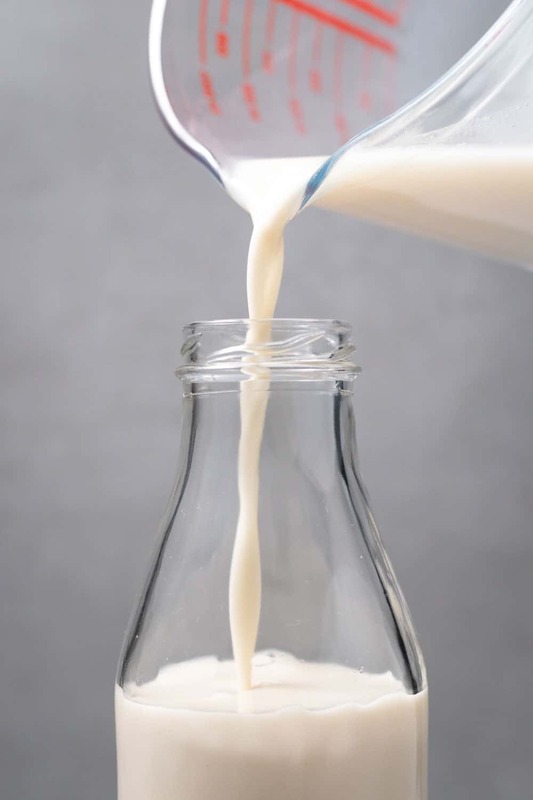 Since oat milk can be close to $5 for a half gallon, I figured that it was time to show you how to make your own, for much less! 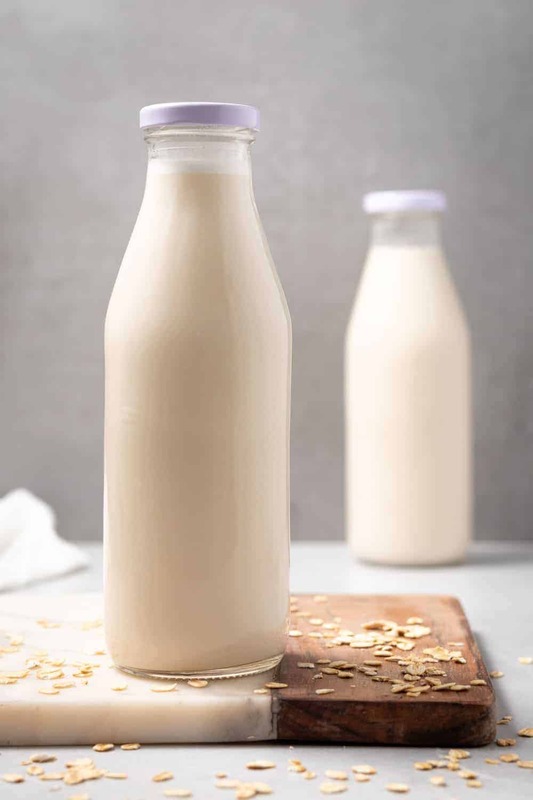 Not only does this homemade oat milk recipe save you money (even using organic oats), it’s also easy to do and the taste is incredible. Imagine the creamiest plant-based milk you’ve ever tried. That’s oat milk! Here’s how to do it. Step 1. Place oats, water, salt into a blender and puree until creamy. Since I use this oat milk in cereal and for making, I add a date (and sometimes a little vanilla) for a sweeter milk. Step 3: Done! Now you are ready to enjoy creamy, delicious oat milk. 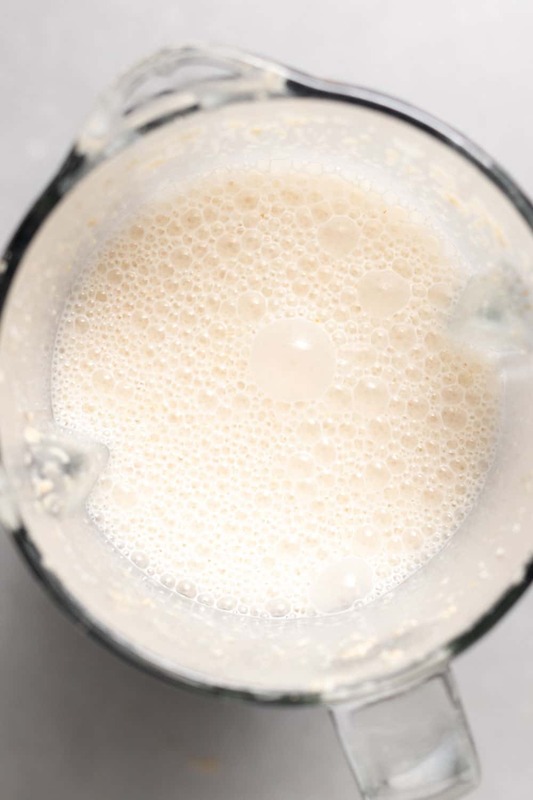 Homemade oat milk can be slimy, but there are a few ways to avoid this. 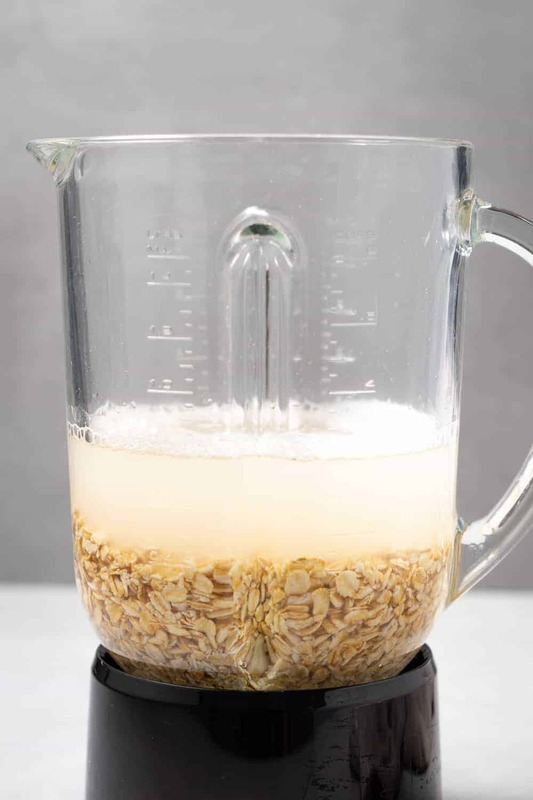 Make sure you are using very cold water to blend your oats and not over blending them. Heating the oats will create more slimy milk. 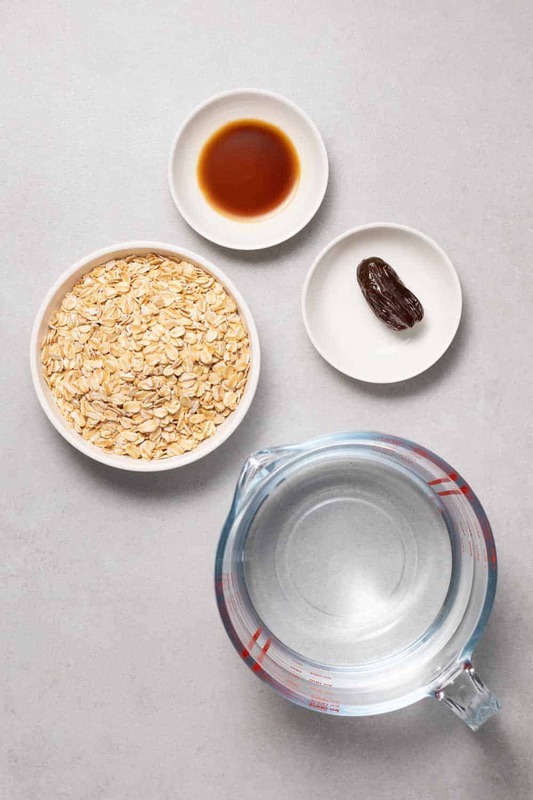 Soak the oats for 15 minutes, then rinse in cold water to remove excess starch. 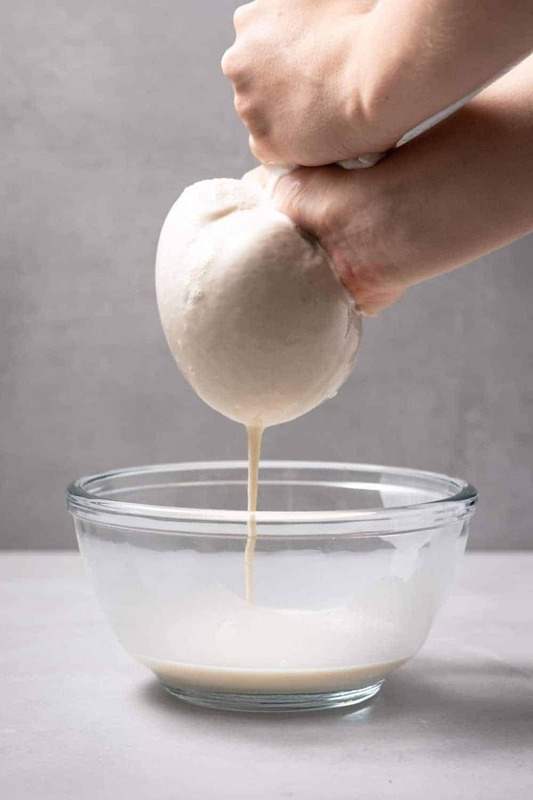 You don’t have to do this, but will create a creamier milk. Double strain it. Pour through a nut milk bag once, then do it again. This will help ensure that your milk is extra-creamy and not at all slimy. 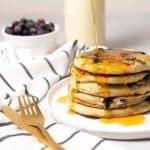 While I use oat milk in several ways, it’s usually my go-to milk for baked goods. One, oat beverage is higher in carbohydrates than other plant-based beverages and that’s a good thing. The reaction behind every golden brown baked temptation is known as the Maillard reaction. Catalyzed by the heat in the oven, reducing sugars with amino acids (protein!) yields a golden brown exterior and that characteristic ‘something is baking‘ aroma. You need two things in order for this to happen: sugar, usually in the form of sugar in the recipe and/or ingredients like milk, and protein, usually in the form of milk or eggs. This is why when you swap in artificial sweeteners for baked goods the color is off. It’s also why, in making vegan baked goods, removing both protein (eggs/milk) and reducing sugar can lead to pale baked goods. Tastes fine, but the color is off. That’s where oat milk comes in! 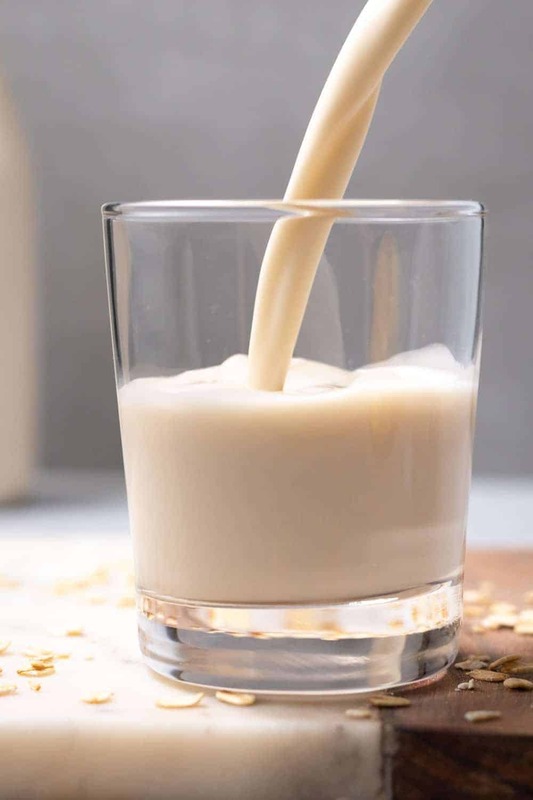 Oat milk is naturally higher in carbohydrates than almond, making it a superior choice to getting a beautiful golden brown color and ‘baked good’ flavor. Since having this ah-ha realization after one-too-many pale vegan cupcakes, cookies and cakes, I’ve fully converted to oat beverage! And, I think you should too. 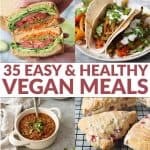 Other ways to enjoy oat milk? Over homemade baked oatmeal, healthy banana muffins, pear muffins and espresso brownies.